Preliminary numbers indicate that the movie “John Carter” grossed approximately $9.8 million on Friday, the first day of its release. That made it the number 1 movie… on Friday. But the pundits don’t expect that to last. “John Carter” got off to a bad start. The movie received a huge amount of negative comments from critics before it hit theaters. Regular moviegoers appear to like it more than the critics. Over at RottenTomatoes.com, the movie has received a 73% approval rating from audience goers. Critics gave the 50%. The most common complaint about the movie seems to be that it’s hard to follow. “Technically well-crafted but incomprehensible and uneven” said one moviegoer. “$250 million for special effects. $9 for an incomprehensible script and C rated acting. A waste of 2 hours,” said another. “Very confusing and very long,” complained a third. 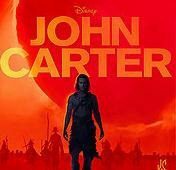 But others did praise the movie: “I found John Carter to be very enjoyable. It’s “pulp” roots show but it didn’t put me off and the movie didn’t spoon feed you every detail,” according to a fan. “Much better than expected. Action, fun, action, smarts, action, drama and (did I say this?) action! It’s several of the book (sic) snapped together in one tight, well written movie,” another said. We’ll watch and report on the weekend numbers as they come in. Have you seen the movie? What did you think of it? Leave your comments below.